INCLUDES FREE TIRE REPAIRS AND ROTATIONS FOR THE LIFE OF TIRES. 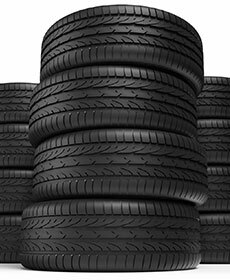 Buy tires from us and we'll give you a 30 day price match guarantee. If you find a better price, we'll refund the difference. We have the lowest prices and best selection of tires. Have one of our factory trained technicians install new tires for you today! Prices may vary by model. Available only at Bronco Motors Service locations. Hazardous waste fee is applicable. Coupon has no cash value.